A Real Canadian always has a canoe at the ready. We have inflatable canoes stashed with relatives in multiple countries. These water toys are cheap, relatively light weight (about 25kg) and easy to transport in the boot of a car. 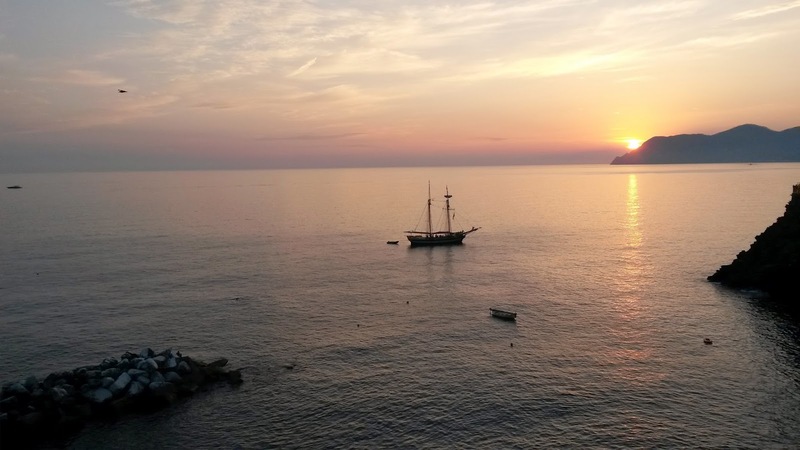 This summer, we took our European Sea Eagle to Northern Italy. We rented a tiny little apartment in Manarola, roughly in the middle of this picture, next to the old tower, directly above the harbour. Nowadays, I mostly use my Samsung phone camera - it has some spherical distortion, but the quality and warmth is very pleasing. 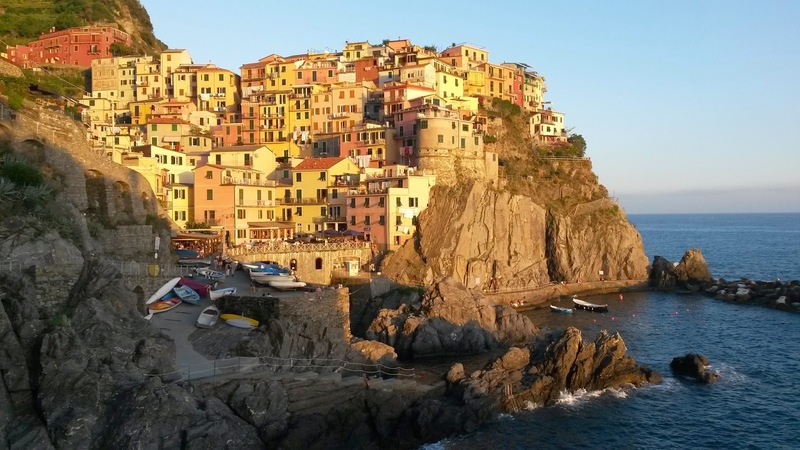 Cinque Terre is a crazy place which really should be on your bucket list. Many of the buildings are from the 15th century, but the craziest building period was in the 19th and 20th. Note that the best way to get there is by rail from La Spezia. The railway runs up the coast in an infinite series of tunnels, so it is mostly invisible and doesn't spoil the park. We went by car and dragging the canoe and luggage between the car park up on the mountain and the village down below, was really hard work. We still heard the party on the pirate boat by 4 in the morning. With an inflatable, you should never leave your pump behind! You can click the pics for a larger view.